May be involved in protein N-glycosylation. 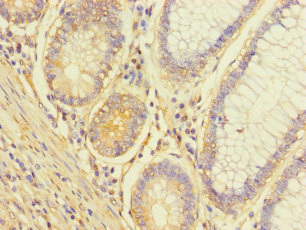 May play a role in the second step of the dolichol-linked oligosaccharide pathway. May anchor the catalytic subunit ALG13 to the ER. 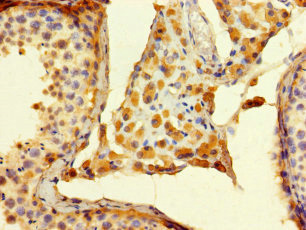 ALG14 Polyclonal Antibody. Unconjugated. Raised in: Rabbit.